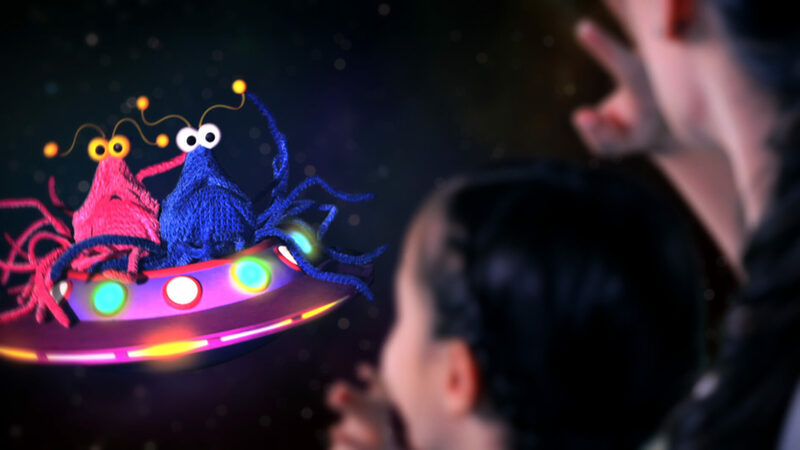 Join Elmo and friends as they fly through the galaxy to fight the evil Macaroni the Merciless, all to bring back spaghetti to earth! Working with Sesame Workshop and Universal Creative, IRMS Team Members designed a custom dark ride within an existing building. 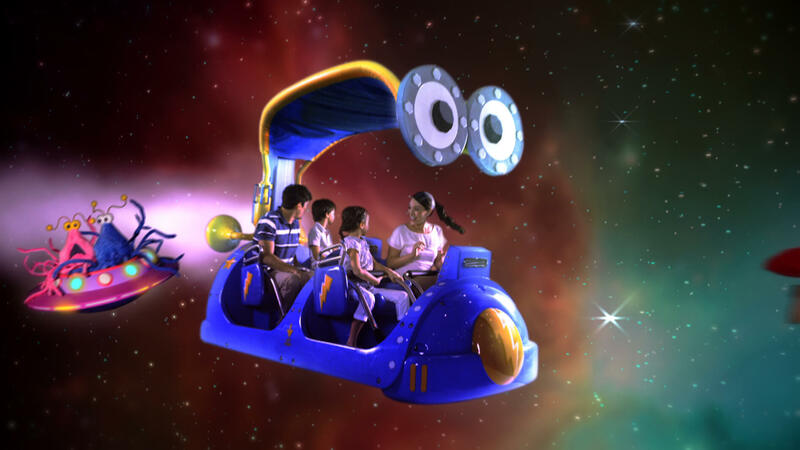 Conceived as a mini-version of Universal's popular flying dark ride system, the "Sesame Street Spaghetti Space Chase" takes riders from Sesame Street on an out of this world adventure. Furry citizens of earth have been subject to the evil machinations of one Macaroni the Merciless, who has stolen all of the spaghetti! 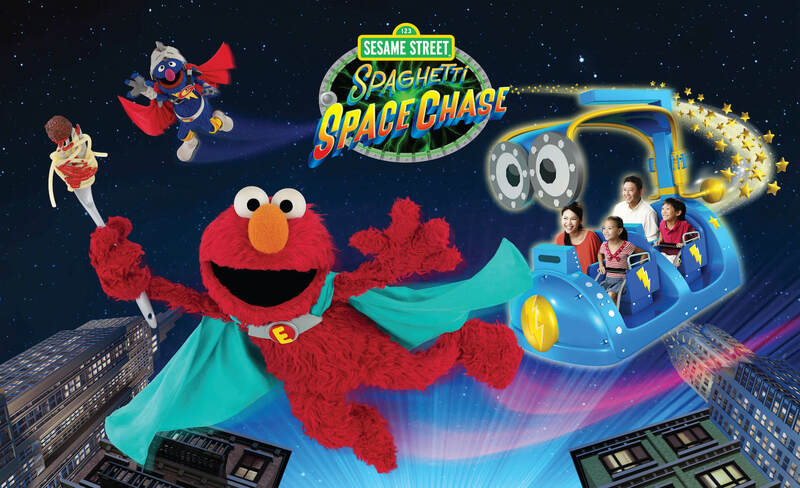 It's up to Elmo, Super Grover, and us to blast off into space, confront Macaroni, and bring back the spaghetti. On-board audio and video compliment the scenery with a running narration of the action, helpful in Southeast Asia's multi-language environment. In addition to the ride, IRMS Team members designed the "Big Bird Emporium" exit store, as Sesame Street adaptation or the Brown Derby, and a Sesame-themed retail cart.